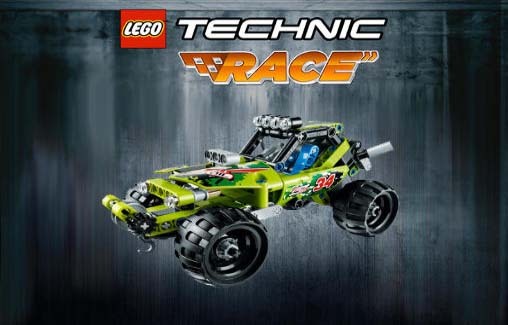 LEGO® Technic Race - Pull back, release and shoot forwards with ultimate speed in this fast paced, action packed lane changer, combining super sleek racing with obstacle smashing mayhem. Experience the smooth lines of the LEGO® Technic Black Champion Racer and the rugged power of the Desert Racer. Combine them for an even more action-packed play experience with the awesome double motored Race Truck, an unstoppable force to be reckoned with! Power past your opponents and tackle any obstacle with LEGO® Technic Ultimate Racers, it's time to hit the gas! LEGO® Technic Race: install APK and play the game!